That old gift of stock from a parent or Uncle Jerry can create a tax headache when the time comes to sell it. Capital gains tax due when someone sells a gift of stock is generally based on what the original owner paid for the shares, as well as events such as mergers, spinoffs and stock splits that occurred at the company in the years since. That original basis, though, is often lost. Every tax adviser has a war story about how hard it can be to track down basis from a gift, especially if the shares were purchased a long time ago or issued by a company with a tangled corporate lineage. It is up to the owner of the stock to keep track now, but brokers will have to start reporting basis on IRS form 1099-B next year. Inherited shares do not cause such angst; in these cases, basis is based on the value of the stock at the time the person who bequeathed it died. A taxpayer or adviser can find that on an estate tax return or research what the stock was worth on that date. Starting next year, brokers generally will be required to determine the value of the stock on the date of death if the estate does not provide the value on form 1099-B. To solve a cost-basis mystery for a gift of stock, start by going back to the family archives and looking for the original investment statements. Without access to the original paperwork, however, you can really be hard pressed to find the information you need. The original price of the shares is just one piece of the puzzle. Mergers or spinoffs that caused stock splits have to be taken into account too. To find a corporate genealogical tree that lists events that affect cost basis, look on the Internet. Or go to your local library. Some companies even have cost basis calculators on their websites as part of their shareholder services. No matter how you get there, create a paper trail in case the IRS questions a tax return. A copy of the check used to buy the shares, or an original bank statement showing the amount paid for the shares, could help in those cases. A stock certificate is good to have but does not show what the owner paid for the shares. 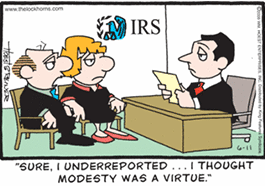 The IRS has not challenged many people on cost basis. That may change once brokers have to start reporting it. Then, the IRS can easily match basis reported on a form 1099-B with that shown on a tax return. The lesson for anyone thinking about making a gift of stock: Give cost-basis information along with it. Without it, recipients could end up with a lot of detective work to do and a big tax bill if the trail runs cold, especially if they err on the side of caution and pay what they estimate the biggest likely tax bill would be.